Suddenly the package from Nella was ready to be picked at my local postoffice today, like two days early as it was in Oslo yesterday . Love her I gave her a bath as soon as I unpacked her and she turned my white magic spong grey. What adventures have been through I wonder :o.
I am gonna keep the haircut as she actually looks cute with a short mane. She is my first adult unicorn if you dont count the rainbow retro ones. Still have factory curls in her tail, gonna try recurl the mane. 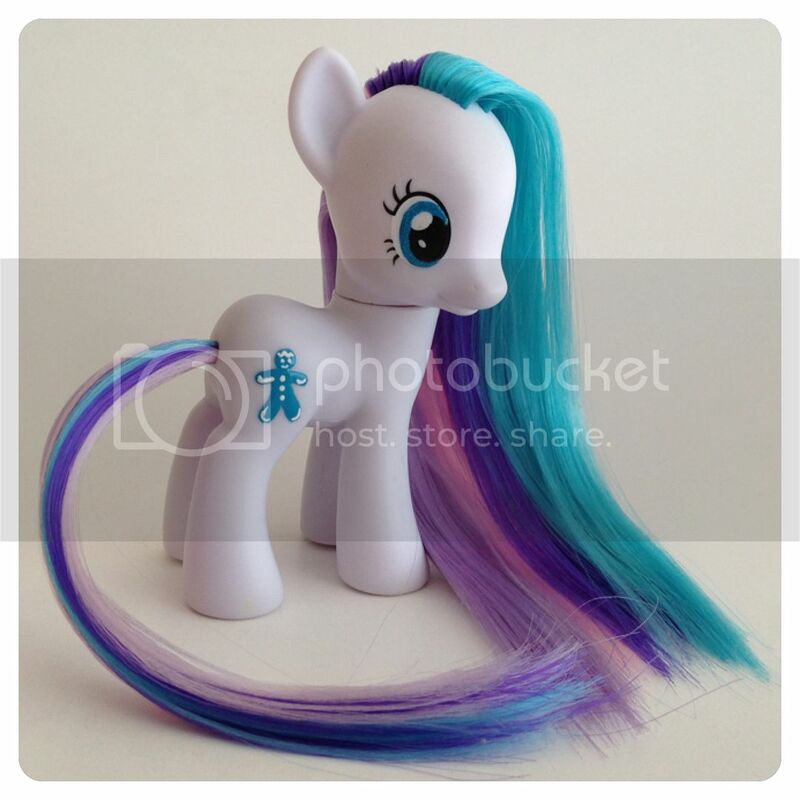 2nd G3 in my collection and omg her mane is soft. Just like Applejack, have been through an adventure.. well on one side atleast. So pretty Applejack is adorable! Strawberry Surprise's many looks very soft. Also, for Streaky's legs, you could try to heat them up and use some various objects to reshape the vinyl so she can stand? I don't know if her legs are off though. Anyway, congrats!! Looked up other ponies with Streakys pose and it seems to be a common problem. I was going to suggest something similar to help Streaky stand. Really hot water and a pen or the likes tucked between her back legs to help them splay out a little for balance? Then again, it might be her front straight leg that is bent and needs to be re-moulded. Congrats on your new ponies! Hooray on your new additions! It's always so exciting to add new ponies to the herd. Congrats on your lovely new additions. Even with the chews baby snoozy is cute. Sig by Strawberrysweets, thank you!